Who doesn’t love a good exfoliation? 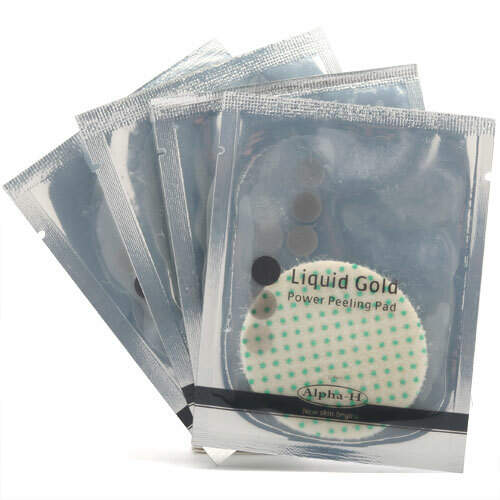 Alpha-H Liquid Gold Power Peeling Pads are designed to carefully exfoliate and resurface your face, remove dead and dry skin, tighten pores, and even skin tone. The pads are immersed in Alpha-H’s much sought after Liquid Gold Solution, which helps to firm skin, reduce signs of age, and brighten the complexion. After a rough weekend, or difficult week at the office, what else sounds as appealing as removing an entire layer of skin and revealing the brighter, slightly younger you underneath? Available in packs of 30.